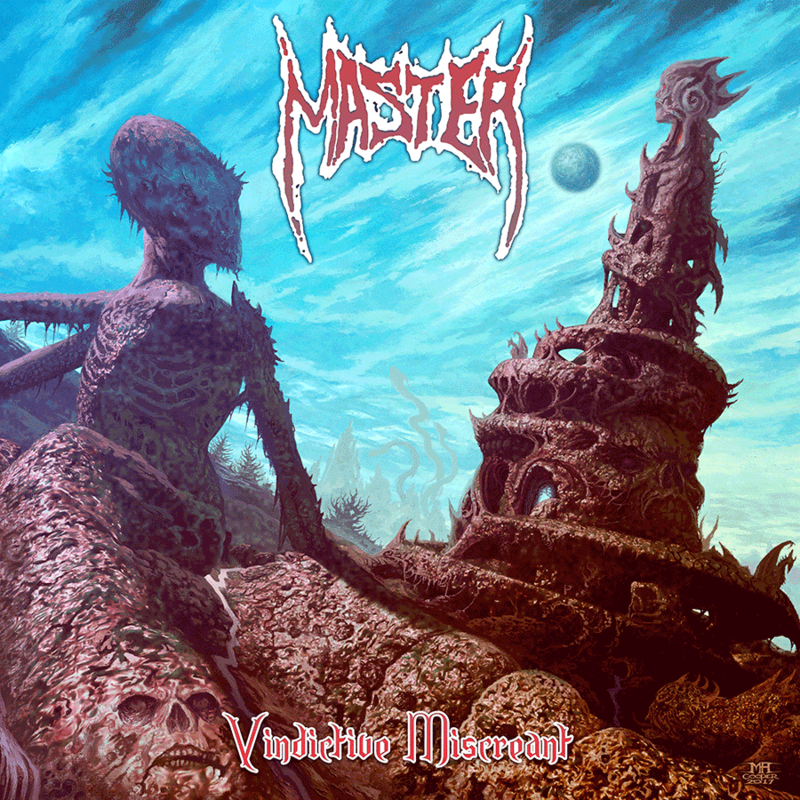 Master have a new album coming up. Nice artwork. Recent Master has been pretty samey-same though. Not a lot of motivation to listen to them. The first two are superb, and if I'm in the mood for Master, I'll most likely be spinning one of those two. That's a ripping cover. One of the best I have seen in years. Bet this one is going to sound like Master. I'm in. I love recent Master more than most but that new song honestly didn't do too much for me. Nothing really wrong with it, it's exactly what I wanted and expected, but it probably should've been three minutes instead of five. Got a bit too repetitive with its simplicity although I'm willing to forgive it, anyway. Nevertheless, the rest will probably be just fine. Paul is an institution in the genre and there's no reason for him to slow down or pack it in anytime soon. And yeah, Mark Cooper pulling a somewhat Dan Seagrave impersonation is a thumbs up from me. Master is pretty consistent so I'm confident this will be as good as the last two albums. Yeah, that is very Seagrave-esque. Best Master album post-second album, anyone? That being said, the Doomentia reissue of "Collection of Souls" knocked my socks off. Whether they remixed it and/or re-amped the guitars or whatever they did aside from remastering, the tone is WAY better than the original. Between that, the opening bonus track, and the revised sequencing, it's a completely different album to me now. Guess what, guys! I was right. Pre-ordered from Transcending Obscurity and received the CD a couple of days ago. I think I'll end up liking Vindictive Miscreant better than both Epiphany of Hate and Witchhunt. The shorter run time definitely helps, and I think the songwriting is just a tad bit stronger than the last couple. Don't think I'll ever have it in my heart to dislike a Master album though. Got the boxset about a week ago, haven't had a chance to listen to it but excited to do so this weekend.